Hanging bars for salami with 2 oval bars (available also with 3 or 4 bars). 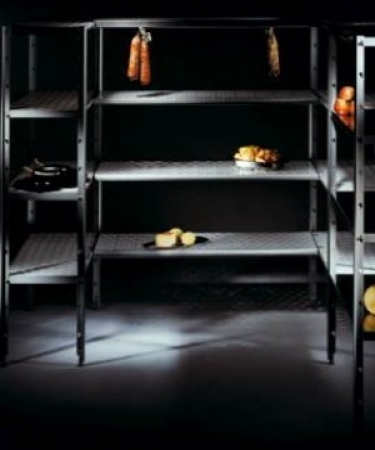 Shelves with polypropylene perforated staves. The picture at the top shows the single stave model, suitable for 30, 40 and 45 cm. The picture at the bottom shows the double stave model, suitable for 60 cm (you can see how staves can be removed).